Ropar: Dr. Srivatsava Naidu, Assistant Professor, Centre for Biomedical Engineering, Indian Institute of Technology Ropar (IIT Ropar) has been awarded the Ramalingaswami Re-entry Fellowship by the Department of Biotechnology, Ministry of Science and Technology for a period of 5 years. 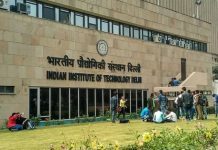 The fellowship aims to attract highly skilled Indian researchers working overseas in various cutting edge disciplines of biotechnology and other related areas, by providing them an attractive avenue to pursue their R&D interests in Indian institutions. 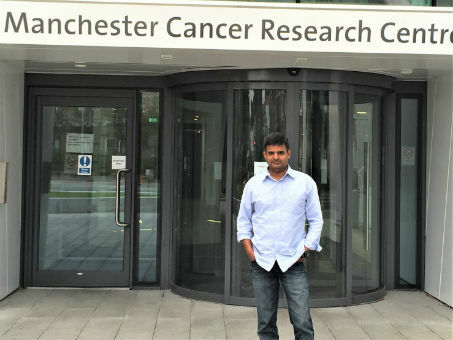 Dr. Naidu’s research proposal focuses to understand the molecular perturbations caused due to derailed basal transcription mechanisms which plays a major role in oncogenic transformation. The outcome of the study will enrich the current understanding of molecular events deciding cell fate, particularly during oncogenesis, which may ultimately exploited for therapeutic and diagnostic purposes.